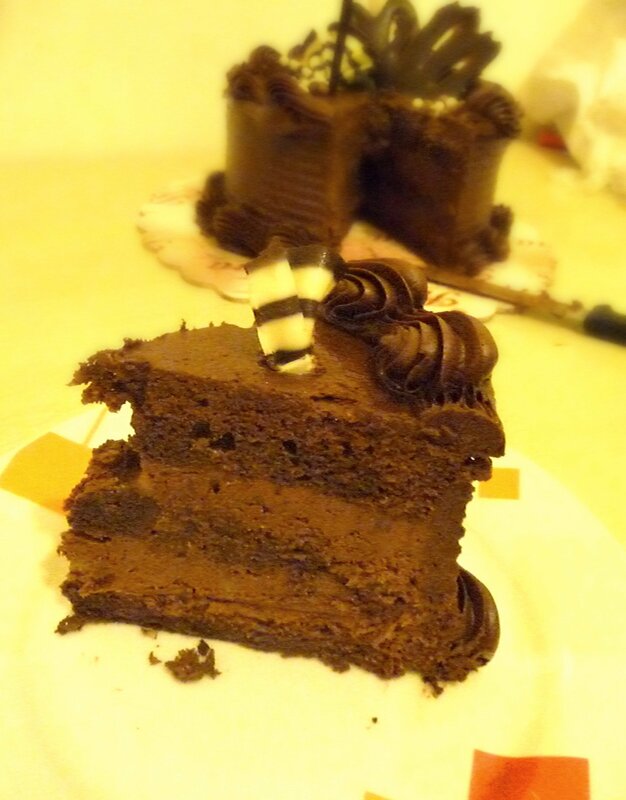 The Joffre cake is one of my most loved childhood desserts. I used to save my pocket money the whole week for this incredible cake I liked to pair with a couple of scoops of vanilla ice cream. 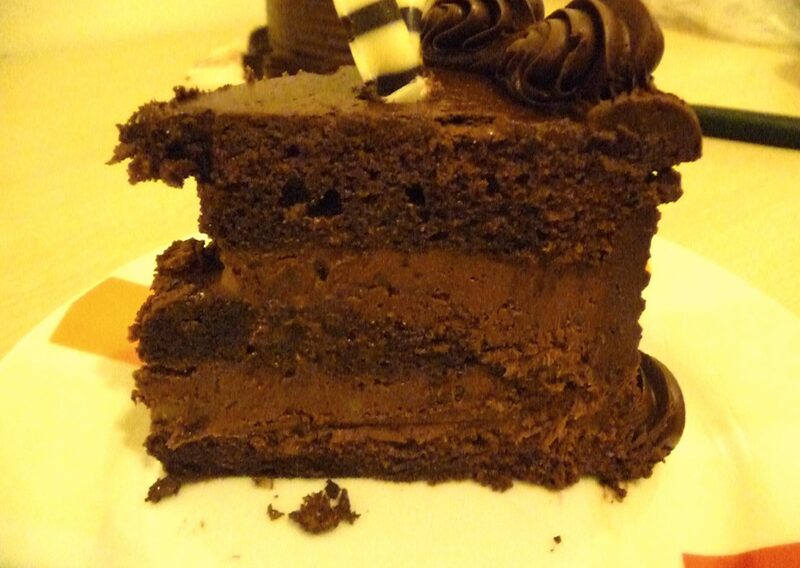 To me this was simply a super delicious, creamy piece of heaven. I’ve decided to bring my childhood memories back and make my own Joffre cake. Guess what? It does not taste the same!! It’s even better, because I made it, with much love and tons of excitement (and waves of sweat because I got hyper at one point and also I messed up the decoration). 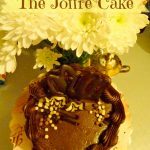 I love this Joffre cake recipe because the final product looks quite sophisticated, fancy and more appropriate for a special celebration but truth is, it was super easy to make. Its smoothness and unique taste make this dessert particularly suitable for the most exclusive occasions but that doesn’t mean you can’t spoil yourself with a slice or two whenever you feel like. I played around a bit when decorating the cake as my frosting wasn’t that good (obviously it’s never my fault) so I decided to decorate with cream to fix the boo boo’s. I used cake decoration supplies to add a bit of sparkle to my cake and added some nuts to my cream as I’m nuts about nuts. I also decided to take the short way and baked the cake in 3 molds so I didn’t have to cut 3 layers. Saved me time and headaches. The Joffre cake is very easy to make and its smoothness and unique taste make this dessert particularly suitable for the most exclusive occasions. Make the base composition by boiling sugar, cocoa powder and water for 5 minutes. Add the egg yolks one at a time, stirring well with a mixer. To get the dough, mix 1 part of the base composition with a tablespoon of flour and two tablespoons of breadcrumbs. Beat egg whites with 3 tablespoons sugar until foamy and add them to the dough composition. Coat a baking tray with parchment paper and pour the dough composition. Bake at 200 C = 395 F for about 30 minutes. Put the cake on a plate. Alternatively, you can bake the cake in two or three separate smaller baking trays so you won't have to cut it in half once baked. For the filling, mix the remaining two thirds of the original base composition with butter and mix well. After you get a smooth filling, place in the fridge and leave it to cool for an hour. If you made the cake in a single tray, cut it in half. Put cream between the two cakes. 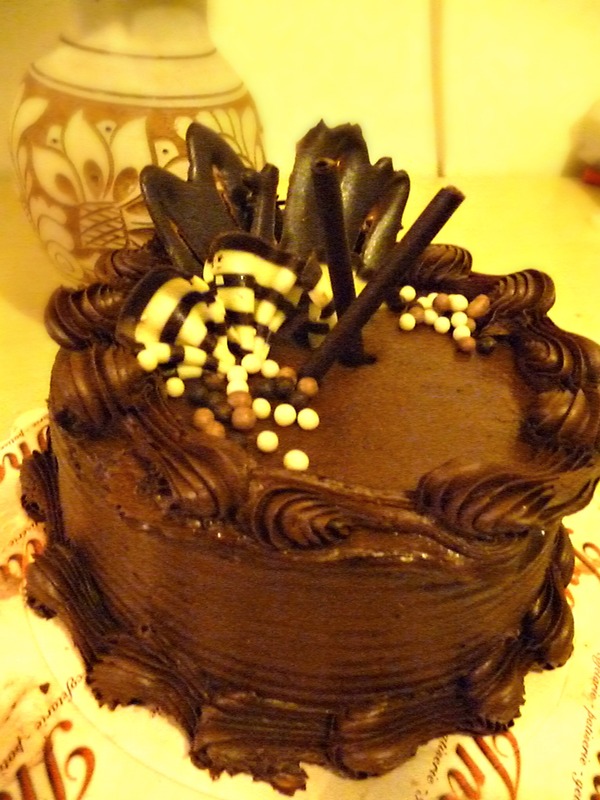 Make the frosting by melting chocolate in 1 tablespoon still water and mixing with powdered sugar until smooth. Cover the cake with frosting and let cool until the next day. I recommend you pour the dough into 3 separate smaller baking trays to make this recipe even more easy to prepare. You are a very creative baker. Impressive. Thanks for sharing at #theWeekendSocial. Hope to see you again Thursday 9:00 PM EST. http://www.theKitchenChopper.com Pinned! 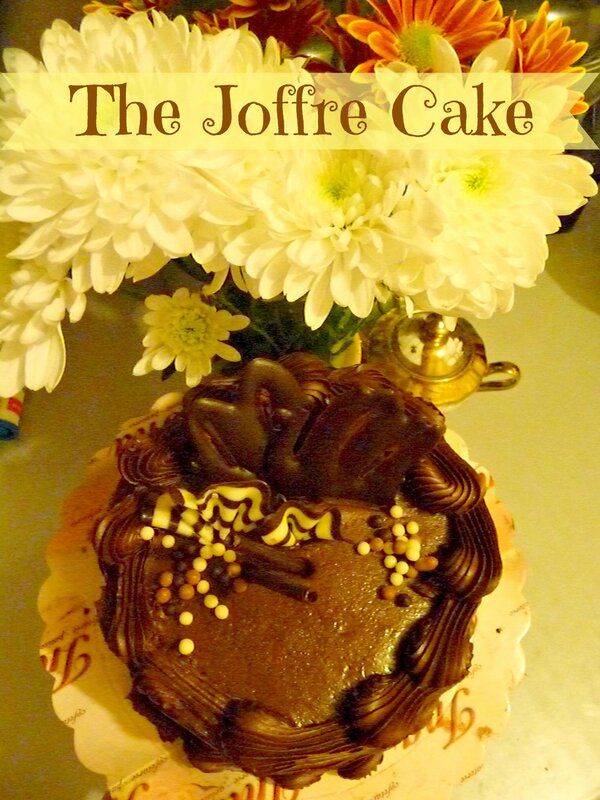 I’ve never tried Joffre cake! 🙂 It sounds awesomely decadent! I think you’ve decorated the cake perfectly! 😀 So glad I saw this on FF!